As we look around the world today, we can’t help but observe that not only are humans destroying millions of their own kind in the name of politics, power and religion, they are also hell bent on annihilating animal life and the environment. Both violence towards people and animals for many of the two legged beings has become a socially acceptable form of human behaviour and sadly, a way of life. Is it permanent? NO..I live in HOPE..that some sanity will prevail and kinder days are waiting just around the corner. Nothing will ever beat watching an elderly elephant bull, his large ivory tusks weighing down his massive head as he romances the Zambezi river line or a herd of females with their young calves with waving and out of control trunks. These images leave an everlasting imprint on the mind. To view these magnificent animals in their natural surrounds is truly like balm on the soul and fills one’s heart with hope. 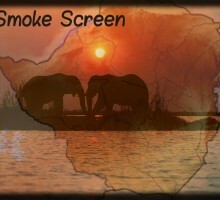 Hope that we can all help to keep our Zambezi Valley free of rampant poaching. Where there is the dawning of a new day, there is Hope. Hope is a feeling that is not always permanent, but it is a feeling that we know means, that we will all survive the darkness and bask in the golden sunrise once again. It does not take away that feeling of horror that comes with the knowledge of another elephant or rhino butchered, but it does remind us that where there is a dawn with rhinos and elephants: there is hope. Hope Dawning (my poem). I feel sad and disgusted that humans have allowed themselves to travel on the perilous journey into the underworld. As these clouds of despair drift down over Africa, we cannot allow ourselves to be shaped by the buffeting winds. We can all play an important role during these dark times of destruction. Ivory, when it is dead has an uneasy splendour about it. Nothing can come close to the beauty of ivory on an elephant. It has a warmth and lustre that pulses with life and personality. Ivory belongs to elephants and has no use to man. For whatever different reasons humans want to own a piece of ivory for: we all know that it comes at a great cost to the unfortunate elephant herds who supply the demand. Hundreds and thousands of these sentient creatures are slaughtered and mutilated to feed the demand. 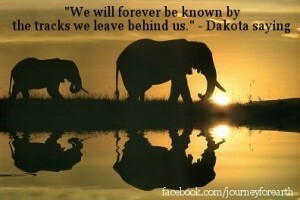 Elephants and other wildlife are irreplaceable riches and now have no where to run to and nowhere to hide. They need our protection. The haunting cry of the ‘coucal’ is often overpowered by the the unwelcome ‘ k-k-k-k-k’, an irate bark from a machine gun. These are not random thugs after a piece of bush meat. These are highly organised gangs who poach for profit which in turn funds terrorist activities. The Rangers in Africa are often underpaid and ill-equipped as they fight to protect our precious wildlife. Going on patrol is like doing a duty on the front line and just as, if not more dangerous. They are braced for the continual onslaught but need our help. Without donation support, they are unable to run a well oiled business. These Wildlife Warriors need comprehensive training and the resources to carry out their important work. These brave men and woman are up against towering storm clouds that threaten our wildlife’s existence. However, where there is a dawn with Rangers, there is hope. 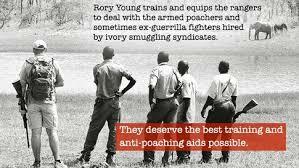 HOPE also comes in the form of Rory Young and Chengeta Wildlife who offer first class training to the Anti poaching teams. The fate of Africa’s elephants along with other wildlife hangs by a thread. It is on this thread that we as custodians of the earth need to concentrate and secure. 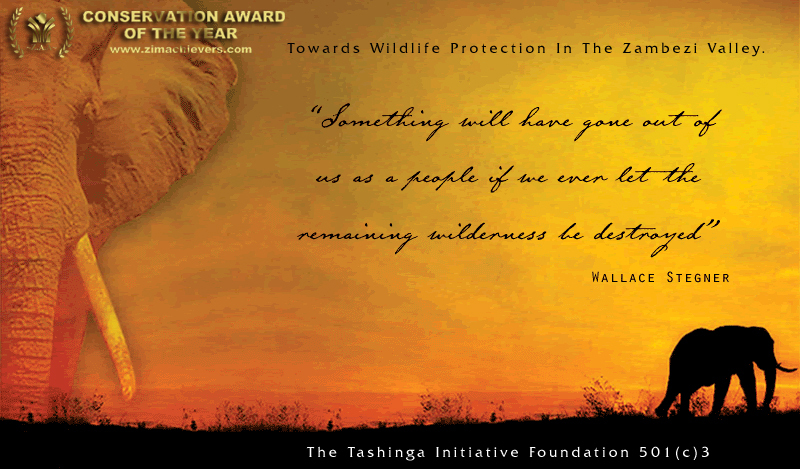 A project that is close to the heart of all wildlife lovers is The Tashinga Initiative whose anti poaching teams are custodians of the Zambezi Valley and more. This gives us hope for our wildlife. Let us support these men on the ground. There are many selfless and dedicated people out there who have been involved in conservation, and without them these magnificent animals would surely have been lost to the world. Each and every person dedicating some of their time to saving the elephants and other wildlife are needed and appreciated. Each and every one of them brings something different to the table, but they also bring hope. Mountain Bull, according to human standards was a problem animal, snapping fences and feeding happily on crops grown by small scale farmers whose very lives depend on the food they reap. The animal/human conflict causes resentment that snarls and growls as farmers find the evidence of their destroyed livelihood. Finger like lobes adorn the end of his large muscular trunk which swings back and forth like a heavy pendulum and with his enormous ears fanning the breeze, he is the picture of perfection. Creamy tusks protrude like scythes and his noble head is held high as he fades into the early shadows of the golden sunset painting the sky. Fence breaking and crop raiding is one his crimes. Mountain Bull had become the ‘face’ of Save the Elephants charity after he was fitted with a GPS tracking device. One of headlines back in 2008 was GPS saves elephants from slaughter. A sigh of relief as Mountain Bull lives to welcome another golden sunrise. The underpass that links the forest of Mt. Kenya to the savannah ecosystem of Lewa and Sambuni plains to the north was opened at the end of January in 2011 and was a magical solution to the continual animal/human conflict as elephants marched along the corridor along their old migratory routes for the first time in many years. In October 2012, Mountain Bull was darted and while he lay dreaming in an anesthetic hazy slumber, his massive perfectly formed creamy tusks were partially removed. This six ton beauty had 22 ks of formidable weaponry removed in the hope of ensuring that his fence breaking days would become a crime of the past. Once the reversal drug had been give, Mountain bull lurched out of dreamland and wobbled his way into the deep shadows before being swallowed by the dense bush. Reports were then given that Mountain Bull was behaving himself. In the last ten days, Mountain Bull’s GPS – GSM enabled collar had stopped tracking his movements which was most unusual for this middle aged legend. A search party of Rangers was immediately dispatched. There had been no ‘kkkkk’ from an automatic weapon. Death had crept up on him silently: spears held high before thrusting into the elephant. The pain and torment had overcome this majestic animal leaving him helpless. He had been killed within the safety of the Mt. Kenya National Park and his personal treasure of ivory had been butchered from his face. The skies, a silent witness to his lonely death and the carnage left behind. Mountain Bull’s tusks have since been found stuffed down an ant bear hole. A sad waste of a life of this middle aged bull who still had much information to pass onto younger bachelors. This is a sad reflection on how fragile their existence is. Please let us support our Rangers in this fight against poaching and corruption. Kruger National Park in South Africa has in the last week had it’s first elephant poaching incident in 10 years which is not good news coming back to back with the alarming amount of rhinos slaughtered this year. Rory Young has formed an alliance with Jacob Alekseyev, an American living in Zambia. Alekseyev is a former Major and Federal Agent of the US Air Force, Office of Special Investigations. 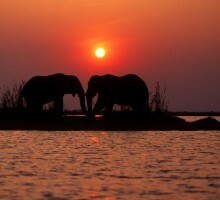 Together they have worked out a plan of action to stop poaching in the Zambezi River Valley. Chengeta Wildlife offer first class training to rangers on the ground. 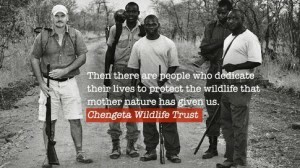 Let us help them to help the rangers on the ground to keep our Zambezi Valley safe. These magnificent and soulful elephants can protect themselves and their families against predators and scavengers but they cannot fight against the rampant poaching that is sweeping the continent. For those of you who have been fortunate enough to meet with these magnificent giants in the African bush and have been privileged enough to catch a glimpse of the elephants unwavering honesty, compassion and intelligence will never forget that moment, or them. 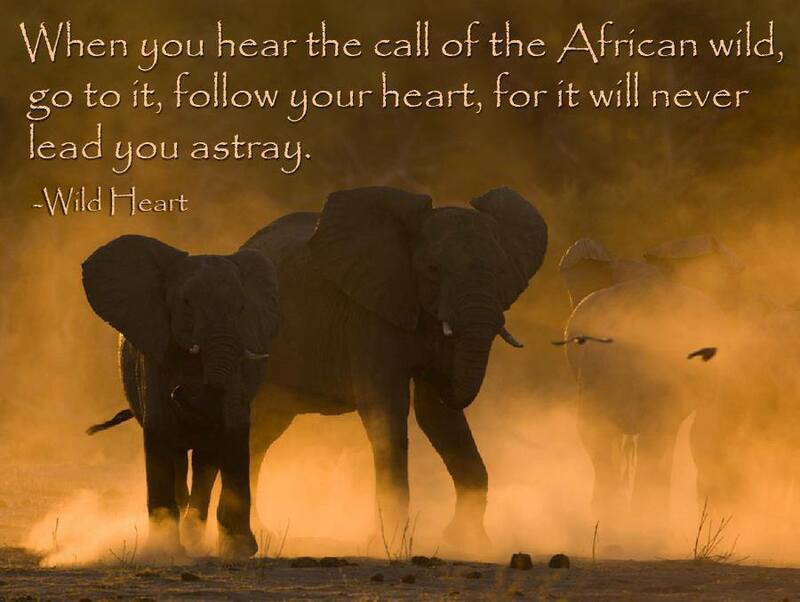 Listen and hear the Elephant song. 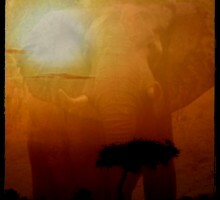 (my poem) Elephants, for me are the essence of Africa and a great subject for debate. 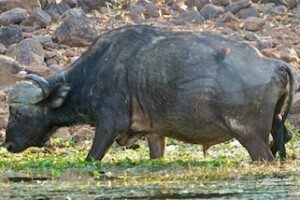 We all love Zimbabwe’s bush with it’s bewitching beauty and teeming wildlife. From the ‘smoke that thunders’ (Victoria Falls) down to the mighty Limpopo, the sheer ruggedness of the granite dwalas will leave you breathless. Open a car window to let a fresh flow of air through and you will never forget the silence shredding cacophony of the cicadas or the mournful call of the rain bird (coucal) and the chuckle of the laughing dove. Deep wells of memories and desires weave a bridge between the future and the past but we need to concentrate on the present. In Africa an elephant is slaughtered every 15 minutes. Through out the continent elephants are fighting for survival: a fight that is obscured in political murk and corruption. Elephant populations have declined in tragic numbers and sadly they are not the only wildlife under constant attack. 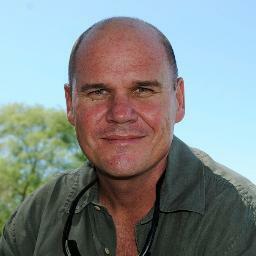 Rhinos are also being slaughtered at an alarming rate and stats in South Africa have been horrific. China has close business ties with Zimbabwe and is also the largest supplier of arms to the powers that be in Zimbabwe. Is Mugabe dependent on China? We are also aware that China is the biggest consumer of ivory and what does this mean for our Zimbabwean elephants? The Obama administration in February published a national strategy for combating the multibillion-dollar poaching industry, relying on many of the same tactics used against terrorist organizations and drug cartels. The plan outlines a “whole of government approach” that includes working with other countries to increase the number of investigations and arrests, using high-tech gear to identify poaching hot spots, and targeting the bank accounts of wildlife traffickers and the corrupt bureaucrats who assist them. Zimbabwe is one of the countries along with Mozambique, Tanzania and Sudan where elephants are slaughtered with complete indifference. Zimbabwe, due to political and militarized seizing of protected areas is at risk of becoming a smoke screen for ivory and rhino horn poachers. This is according to a non profit group’s report that investigates government collusion in wildlife trafficking. What is the future? Life will go on on this harsh and timeless land. Hiding behind the mask of civilization, we need to ask ourselves a question.While the world watches, are we going to allow our country to become a hauntingly lonely bush full of ghosts?Courage does not have to be a gigantic roar. Let us stand up for our wildlife and support the brave men on the ground. Chengeta Wildlife offer first class training and have just finished doing two weeks of intensive anti poaching tactics in Gache Gache. The Tashinga Initiative defines support to the Parks and Wildlife Management Authority’s current protection and management programme in the Zambezi Valley of Zimbabwe. Like never before these animals and the different conservation groups need our support and help. Let us not look the other way while the fiery sunsets usher evenings into lonely nights devoid of wildlife.We are all fleeting shadows on the wall of time and let us ensure that we take nothing but our memories and leave a legacy of wildlife for our children’s children to see. The magnificent Zambezi River rises in North west Zambia. A powerful and supple flow that enters the Indian Ocean in Mozambque at Quelimane. The Zambezi catchment area covers 1 352 000 square kilometres and spreads over eight countries. Under a limitless sky the fast flowing river snakes and roars for 2 650Kms following a river line that has been carved out over time by rough caresses until it reaches the ocean. Kariba dam is a hydroelectric dam in the Kariba Gorge of the Zambezi river basin between Zambia and Zimbabwe. It is situated roughly half way down this river. It is sixteen years since I stood staring out over this expanse of shimmering water where the sun beams down hot and sticky. Out on this enormous lake there is a peace in the silence as the sweet breath of warm wind caresses your hair. The Matusadona is situated on the shores of Lake Kariba and is home to many large mammals: especially elephants and buffaloes. Panicum, a regenerative grass carpets the shoreline and with this ready access for food, zebras, water bucks, buffaloes and impalas graze. In this open air amphitheater, zebra bend in stripey unison, ears pricked and wary eyes watchful as they take a drink in the long shadows of late afternoon. Their high pitched brays breaking the silence as a huge crocodile like a medieval serpent menaces closer through the shallows, its long tail gently licking the surface. Buffalo swagger with exaggerated arrogance, snorting and formidable in their numbers. Their imposing horns spread outward and downwards from their large heads and their powerful and muscled bodies are bejeweled with tick birds, their personal ‘bug cleaning service’. Rhinos, light on their feet slip through the warmth, private and obscured in the shadows. 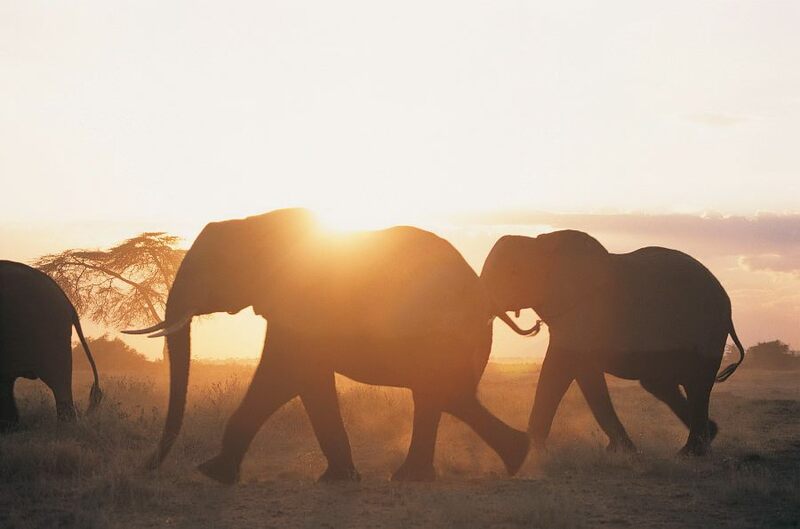 On one of nature’s grandest stages, elephants cross the twilight: silhouetted shadows stretching into early darkness and leaving behind hovering moths and a night full of crickets and mosquitoes. This adhesive group of females and their offspring amble away puffing up small whirls of dust that appear to hang motionless. Despite the matriarch’s bulk, she has the lightness and grace of a dancer. For me personally, they are the ambassadors for the bush.. ‘Loxidonta africana.’ The deep rumbles of content vibrate through the evening air reminding me that although I cannot see them, I can feel their presence. While moon beams float upon the water and the wind carries the neck tingling roar of a lion, the Matusadona pulsates with a subliminal rumble that you feel rather than hear. On this lake, the sky appears deeper and the stars are brighter. This wild paradise with its limitless sky and rugged beauty teems with wildlife. The Matusadona is truly a spectacular place where earth drifts into heaven leaving you floating in tranquil moments adorned in sun washed scenes and bronzed trees. 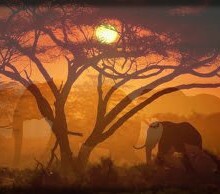 This is Africa…a canvas of vibrant colours and teeming with warmth, sunny skies and wildlife. Elephants, rhinos and other wildlife are irreplaceable riches and cannot be allowed to simply fade away. These animals in the Matusadona have not been immune to the horror of the poachers angry weapons or the barbaric practice of snaring. These animals are being protected byMatusadona Anti Poaching Project who are a component of the Tashinga Initiative and cover Chizarira, Mana Pools, Matusadona and Victoria Falls. (Please take a look at their face book page…give them some support.) Tashinga was the name originally chosen for the headquarters of the Matusadona National Parks. The Tashinga Initiative Foundation. Chengeta Wildlife has just spent two weeks providing intensive training in the GachGache . (Take a look at their face book page.. please give them some support.) 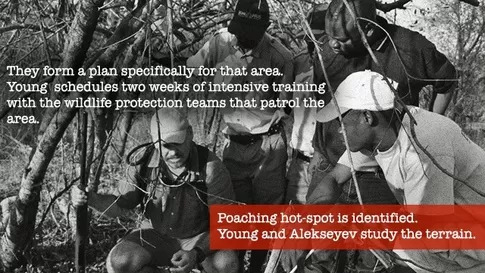 Chengeta Wildlife is providing a first class and comprehensive anti poaching training. These amazing people on the ground, whether protecting the wild or training the rangers to protect the wild are all doing a difficult but awesome job. Poaching, an ugly reality: one we as civilians can do very little about except to help spread the awareness and donate or raise funds for the different groups. It is a case of all doing our bit. However, one thing we can control is our LITTER. 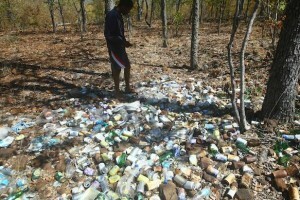 Photo from Cavan Warren.. Antelope Island and pollution in and around Kariba. A sad statistic of this dumping. A buffalo growing thinner and thinner…only after his death was the carcass found: full of plastic rubbish. On an island in this beautiful paradise, an island empty of all modern things: LITTER, like a lethal mix enticing hungry animals to take their fill. Plastic kills….a slow painful death. 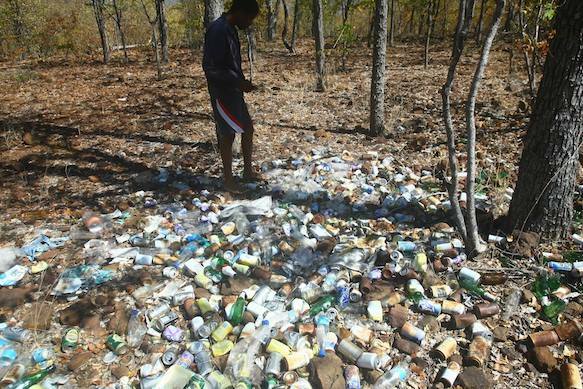 Let us take responsibility, bag our litter and return it to the main land where there are facilities to dispose of unwanted rubbish and allow the rangers space to get on with their much needed and important work: they do not need to clean up after us. Let us look after this ‘Magical Place’ (My poem).